The entire cliff is about 2000 feet high and is made up of layers of dust and water ice. During the spring months on Mars’ northern hemisphere the increased sunlight warms up the surface and causes the carbon dioxide ice to sublimate – turn directly to gas – and may be the cause of these dust avalanches, which have happened before along the same scarp. This is most likely a regular event during the Martian spring. 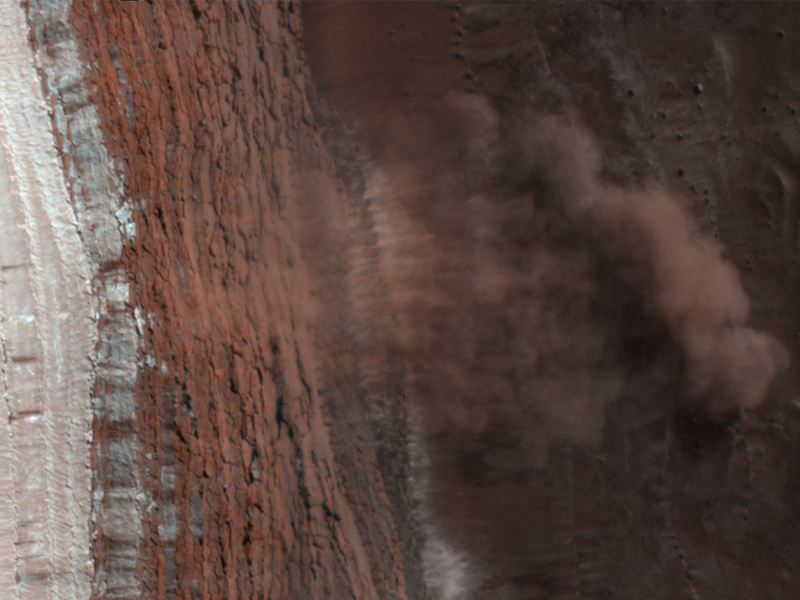 Researchers at the University of Arizona have been studying these images closely, trying to learn more about the mechanics of the avalanches and the effects of seasonal changes on Mars. 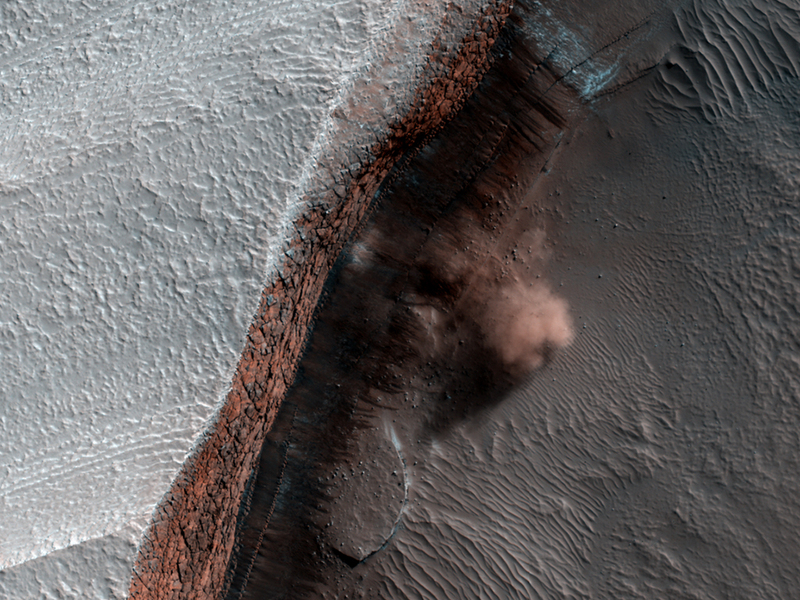 Click the image to read more on the HiRISE website, and see the full image scan here.